Long recognized as an avant-garde fixture with creativity up the wazoo, the World Saxophone Quartet has a language all its own. Its four-part harmony flows worlds apart from the norm while its improvised antics reach right out into your soul and grab hold. The quartet's albums can usually be ranked at the top before you even take a listen because you know that emotions are going to be on fire. 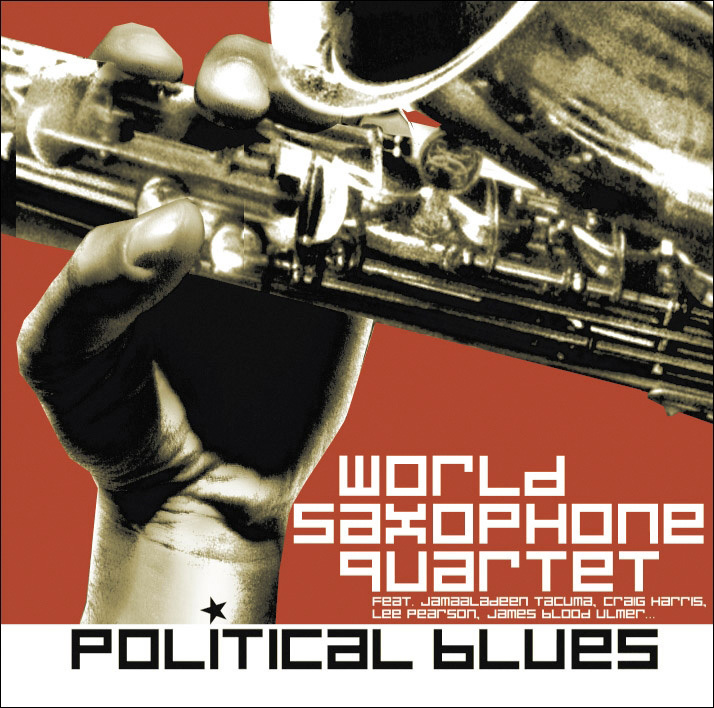 As a departure from the World Saxophone Quartet's usual performance, Political Blues allows its members to communicate with a broader audience in terms that everybody can appreciate. They've incorporated the blues into their creative work in such a way that it gets right to the heart of the matter. With an augmented line-up that makes trombonist Craig Harris a full-time member of the organization, the bands sound turns around. Electric bass, hard-hitting drums and guest vocalists add considerable changes to the quartet's usual format. The WSQ has departed from its funky avant-garde position, and has entered territory usually reserved for rhythm-and-blues bands. The personality that David Murray, Oliver Lake, Hamiet Bluiett and Jaleel Shaw issue comes from the WSQ's original roots. Intense and filled with passion, their music rocks hard. This time out, however, they've decided to communicate from a casual perspective that opens the door for pointed lyric messages and vital discourse. The world needs to wake up and listen.